Whether you’ve recently moved into a new house or have been in your Worcester home for decades, you’ve probably noticed how easy it is for things to pile up—from seasonal décor to surplus furniture and spare appliances. If you don’t have room for all your belongings at home, don’t start throwing precious heirlooms away just to make space; turn to the Worcester household storage of Liberty Movers instead! 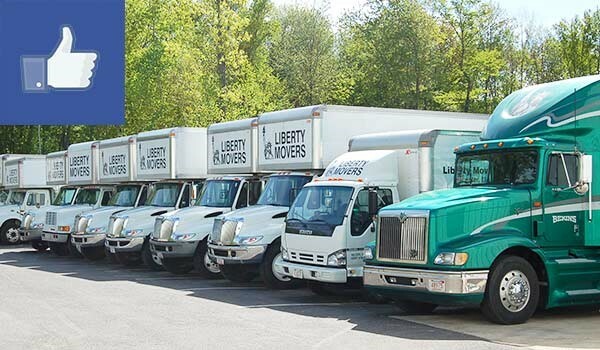 Since 1920, our family-owned and operated company has been helping local homeowners with all of their moving and storage needs. Whether you need to clear some extra space before a move or are seeking long-term storage for household items, we’re the BBB-accredited provider you can trust. Secure: Our storage facilities are protected by advanced security systems, and your items will be sealed in a storage vault that’s assigned only to you. No one will be able to access your belongings except you! Flexible: Not sure exactly how long you might need residential storage in central Massachusetts? No problem! We offer flexible storage terms and will happily work with you if your plans change along the way. Customized: From bulky sofas and tables to delicate antiques and priceless artwork, we’ll custom-pack your storage vault based on its contents. Special padding and dedicated storage areas keep your furniture, rugs, and valued possessions in mint condition. If you’d rather not devote every square inch of your home to storing extra stuff, give yourself some breathing space by taking advantage of our cost-effective and secure Worcester storage. To get started with your free residential storage cost estimate, call us or complete our easy online form now!